As 2016 comes to a close, we are so thankful for your donations, which allowed us to rescue and become the permanent home for 12 more exotic cats! In April we rescued Hoover, a former circus tiger from Peru. 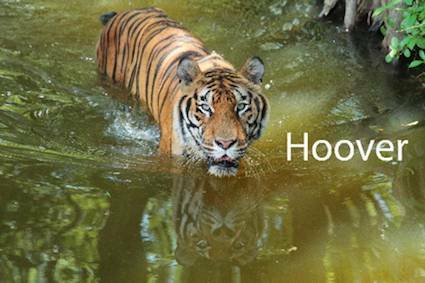 Kept in a tiny circus cage for most of his life, Hoover has really blossomed at our sanctuary and loves swimming in his lake. Then in October, we took in bobcats Dryden, Kewlona, Nabisco and Smalls along with cougars Josie and Sassy from a troubled sanctuary in South Dakota that lost its USDA license. 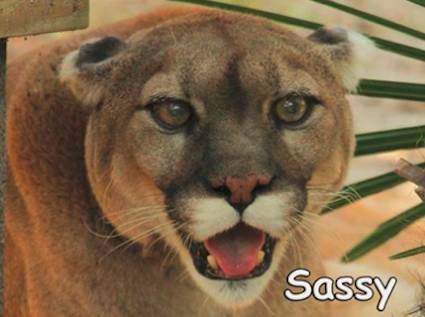 Sassy, the oldest of the group, will be 18 in January (over 100 in human years). During her difficult life, she has been bounced around to at least 4 different facilities. At some point the tips of her ears froze off. But her suffering is behind her now and we plan to spoil her for the rest of her life! 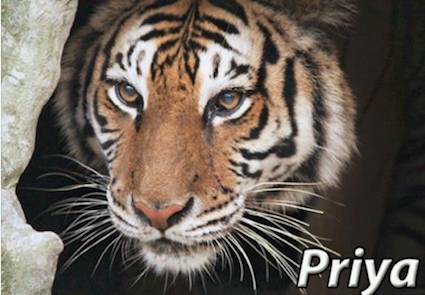 In November we rescued five tigers – Andy, Charaka, Gabrielle, Priya and Seth – from a failed facility in Colorado. Four of the tigers settled in nicely, but almost immediately we knew something was very wrong with 13-year-old tigress Priya. She wouldn’t eat and her belly was distended. We rushed her into surgery and discovered an infected uterus and 20-pound mass that needed to be removed. Had our skilled vets not realized she needed emergency surgery, she would have died. Thanks to your donations, our amazing vet team saved Priya’s life! She is still recovering and we hope she will soon be able to enjoy her life in good health here at Big Cat Rescue.